Dev IT Solutions, one of the leading companies in the field of mobile application development, provides cutting edge solutions for iOS, Android, Blackberry and Windows mobile applications development. Company has already launched various Educational Applications so far and also a few Utility & Mobile Gaming Apps for iOS and Android Platforms. 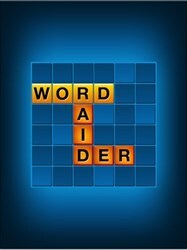 Word Raider is an Educational Gaming App for Kids & Adults to learn English words with lots of fun. This amazing Educational App for iPad does not only teach English words but also helps in enhancing concentration & memory power. This App can keep kids & adults engaged for hours and they will love playing with this app due to its attractive user interface and enchanting sounds. The App gives various alphabets jumbled up and the words to be found are mentioned at the bottom of the screen. Kids need to find those words and drag to mark the entire word. This wonderful and attractive App for iPad is one of the best Educational Games launched on the iTunes App Store. The graphics of this app make it an excellent experience for the users of all ages. The App is divided in 3 Difficulty levels to make it more exciting for the users. 1. Easy – In this difficulty level, there are 8 rows and columns totaling to 64 alphabets and the user needs to find the 10 words mentioned above the Word jumble within 3 minutes time. 2. Medium – This difficulty level has 11 rows and columns totaling to 121 alphabets and the user needs to find the 12 words mentioned above the Word Jumble within 3 minutes time. 3. Hard – This difficulty level has 15 rows and columns totaling to 225 alphabets and the user needs to find the 15 words mentioned above the Word Jumble within 3 minutes time. Dev IT Solutions, a well known IT solutions provider, has now designed and developed an exciting educational mobile application for kids. This is yet another significant application to help kids learn various English words along with enhancing focus and concentration power. As of now this application is available only for iPad devices but it will soon be launched for other platforms such as Android, Blackberry & Windows. So to conclude, this is a must have Educational Gaming App for Android. Do not miss the opportunity to get this amazing application and experiencing the best of puzzle gaming apps in the history of Mobile Application Development. Dev IT Solutions is one of the leading companies providing cutting-edge solutions for Mobile Application Development on various platforms. It has a dedicated team for Development of Mobile Applications i.e. iPhone Application Development, Android Application Development, Blackberry Application Development and Window Mobile Application Development. iPhone, iPad are trademarks of Apple Inc., Android is a trademark of Google Inc., Blackberry is a trademark of RIM Inc., Windows is a trademark of Microsoft Inc.